Reverse osmosis systems optimized for gardening and hydroponic uses. Eliminates up to 95% of all of salts and heavy metals. Also eliminates 99% of chlorine and sediments down to 5 microns, immediately! Reverse osmosis utilises a semi-permeable membrane to remove larger particles such as molecules and ions, including bacteria, from water. These solutes are retained on one side of the membrane, whilst the pure water is allowed to pass freely to the other side through the pores in the membrane. The Power Grow unit produces 500 L/D, which is 20 L/H, whilst the Mega Grow unit can produce up to 1000 L/D or 40 L/H. Water Filters allow you to increase the purity of your water, straight from the tap. State Water municipalities can often contain chlorine, chloramines, copper, nitrates, nitrites, phosphates, silicates, which when used straight from the tap can be harmful to the beneficial fungi and bacteria in plants roots rhizospheres in both soil and hydroponic applications. The use of filtered water can reduce this harmful effect, leading to faster growing healthier plants. Reverse Osmosis units reduce the parts per million of dissolved salts that may be present in your mains water. 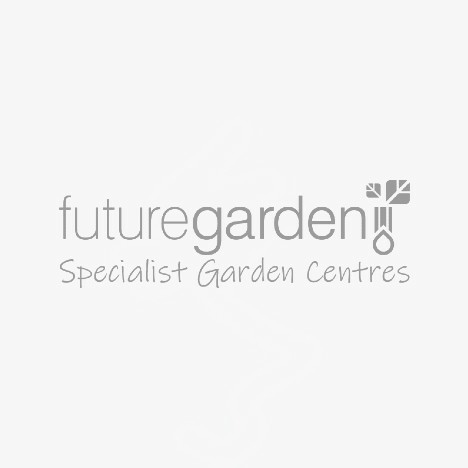 Reducing your PPMs of dissolved contaminants will allow a gardener to add precisely the nutrients required from your chosen products, without having to worry about a ‘baseline’ or the exact makeup of their mains water, resulting in a more measurable process, with less guess work involved. We recommend you change your filters once every 6 months to keep reverse osmosis filters running efficiently. The Filter cannot be used with pressures higher than 80 psi, you will need a pressure regulator to reduce pressure if it is this high in your area. A minimum of 40 psi is required to run the unit. Simply install the inlet pipe onto a garden tap or faucet and connect this to the unit with a length of 3/8” tubing. You can now connect the unit to your garden hose using the outlet and another piece of 3/8” tube. alternatively, you can run the 3/8” tube directly to your garden or a reservoir for storage for later use. Discard the first 15 minutes worth of water when the system is new or if filters have been replaced, the PPM and pH of the water will stabilise over the first 24hr period.